Paklap started their venture physically about 15 years back as a laptop retailer at Technocity Mall,Karachi. Their aim was to make technology available to the masses. The response that Paklap received with their initiative was very overwhelming. Owing to the sales, it could be easily depicted that people were quite content with buying with Paklap, and why not? They provided them the latest tech at the lowest price in Pakistan. Over time, in their attempt to reach out to the masses, they found out that their laptops, PCs and other accessories were being sold online at much higher prices. Thus, killing the idea of reaching out to the masses of Pakistan, because clearly, according to the statistics, more than 60% of the population is earning just enough to fulfill their basic needs. And having to pay higher prices for tech products is simply not affordable for them! Paklap then went all the way from Paklap to www.paklap.com and in a few years to www.paklap.pk – one of the biggest online tech stores in Pakistan. The journey however just started from then onwards. More the people found out about them, more they started to like them. Today they have a whole community of people who stay connected to the tech world and well-benefitted through Paklap’s Techies club at facebook, tech blogging, and daily deals. Let’s find out what is it that they have for people to like them so much? Let us admit we all are very busy in our own routines and do not have time to roam around shopping for the right gadget that suits our needs. Paklap does half of our homework by listing down all the facts and figures, like the features and specifications of a product alongside a brief review so that we know what we can expect out of it. How responsively it will perform, how it looks from the outside, and what it carries in the inside. Paklap answers all these questions regarding the products and delivers it right to your doorstep. The foundation of the company was laid with a clear mindset; provide ease to the customers. None of the online stores have an offline outlet in Pakistan, from where customers can visit or pick up their orders if they wish to. Which is why Paklap introduced the concept of an offline outlet for an online store. 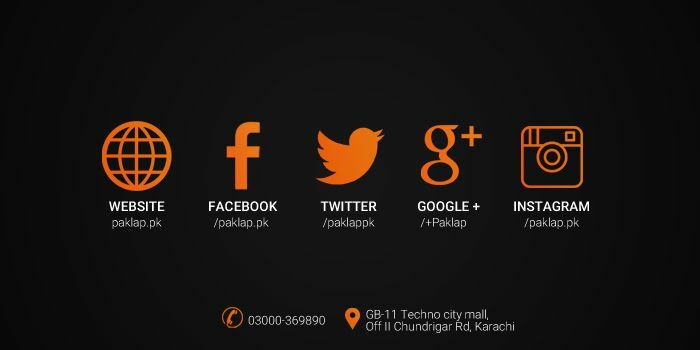 Currently, the company has one outlet, which is located at the Technocity Mall, Karachi. 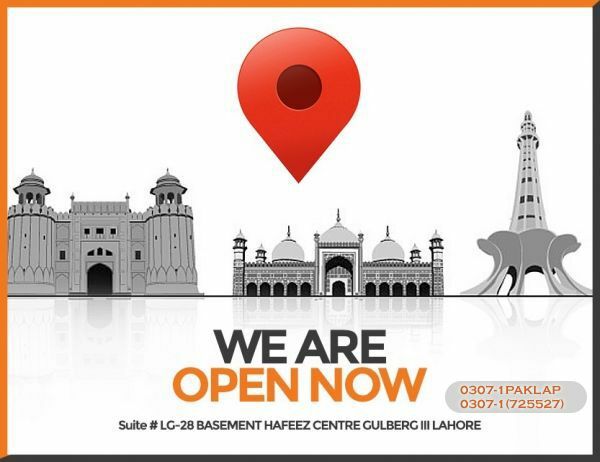 Paklap is planning on opening two more offline stores; one in Lahore and another in Islamabad. Paklap brings you brand new products with the seal of originality at an unbelievably low price than other online suppliers. To maintain affordability and reach out the masses is what they basically intend to strive for. Whatever the product; be it a tablet, DSLR Camera, laptop, smart watch, desktop, gaming console, or any other accessory, at Paklap.pk you will find it at the lowest prices online in Pakistan. Paklap deals in all things tech and not just laptops. Yeah, initially they started as a laptop retailer but now their collection has all that you can think of. Name any tech product you want and they will have it delivered to your doorstep. In case, the huge list of products they are offering is not enough and you do not find what you are looking for, you can always leave a Product Addition Request by leaving them a message, email or by placing a call at their customer support service. When you are ordering online there is a lot of deception going on. Unlike clothes, when you are ordering a gadget, it is not the color, print or material that matters, it is actually the processor, RAM, the specifications and the Seal of Originality that matters the most. What some e-stores show and claim is something else, while what they deliver is entirely different. Paklap does not believe in making false claims, we only claim what the product offers and do our level best to make sure it reaches you safely with the seal of originality intact. To further assist, all of our products are under warranty with an option to add Paklap local warranty plan. Ordered a product online but it didn’t make it on time. Haven’t we all been through this? Paklap makes sure the product reaches you within 2-3 working days. To keep the product safe, it is cushioned with safety packaging to prevent any sort of damage and delivered through a reliable source to make sure it is not mishandled in any way. What is a Brand without a good Customer Service? Just a petty name and Paklap is not one of those petty names. Their customer support service is available to receive your feedbacks and answer your queries. Customers can easily reach them via call, emails, online support or simply leave us a message on Facebook or Instagram.